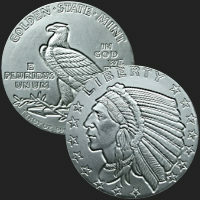 Fashioned after two of the most unique coins ever minted in the United States, the Golden State Mint 1 oz. 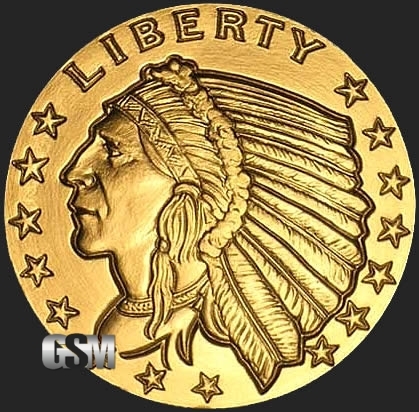 Incuse Indian Gold Round is a fine collector's piece. 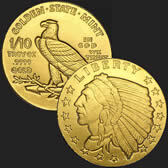 This bullion round is reminiscent of the Indian Head Quarter ($2.50) and Half ($5) Eagle gold coins introduced in 1908 during the administration of Theodore Roosevelt and produced through 1929. No other coins in U.S. history included the "incuse," or sunken relief design replicated on this gold round. The designs and lettering closely follow the unique artwork of original sculptor Bela Lyon Pratt and lie below the flat plane of the round's field with no raised features or rim. 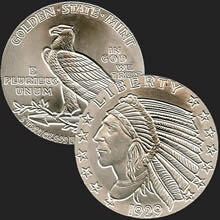 The obverse depicts a realistic Indian brave in headdress along with stars and the motto "Liberty." The reverse includes an eagle at rest along with the original inscriptions "E Pluribus Unum" and "In God We Trust" along with minting identifications. 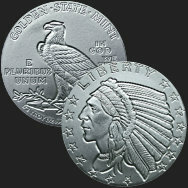 The unique original design of the Quarter and Half Eagles created a great deal of controversy in the early 20th century and makes them desirable collector's coins today. 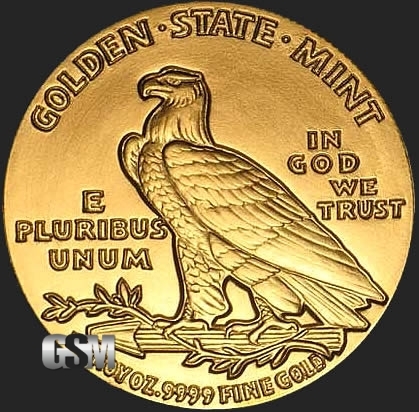 The Golden State Mint 1 oz. 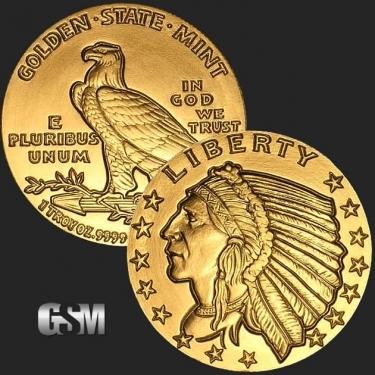 Incuse Indian Gold Round is an appealing way to purchase gold bullion while paying homage to these historic coins. 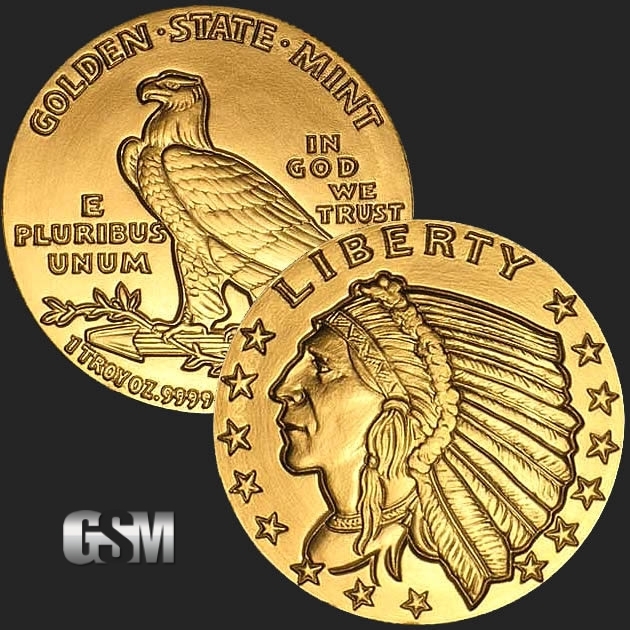 Minted in .9999 fine gold, these one troy ounce rounds feature the excellent quality and attention to detail that Golden State Mint is known for and will prove to be an excellent investment and collectible for generations to come. 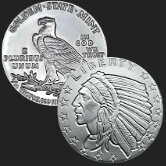 If you liked this product, you should check out our 1/10 oz Gold Incuse Indian, 1/2 oz Silver Incuse Indian, and 1/4 oz Copper Incuse Indian.